and bottom of button placket. - Dyed to match buttons. - Style Ships From Fort Worth, TX. 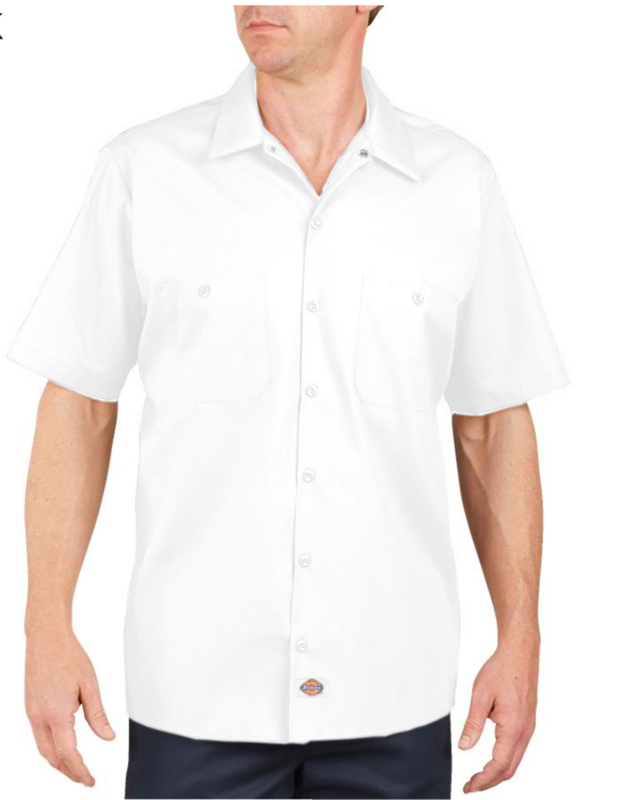 Dickies Adult 4.25 Ounce Short Sleeve Industrial Poplin Work Shirt. Mitered pockets with pencil division on left pocket. Dickies logo on side of left pocket and bottom of button placket. 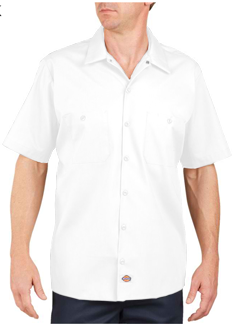 4.25 ounce permanent press poplin, 65% polyester/35% cotton. Fade resistant. Dyed to match buttons. Industrial laundry friendly. Lined two-piece collar with permanent stays and snap closure. Sizes: S-2XL. Colors: White, Black, Charcoal, Desert Sand, Light Blue, Navy. Style Ships From Fort Worth, TX.